The time changed overnight in Campinas, Brazil. Now it’s much hotter earlier in the day as the spring moves toward summer here. 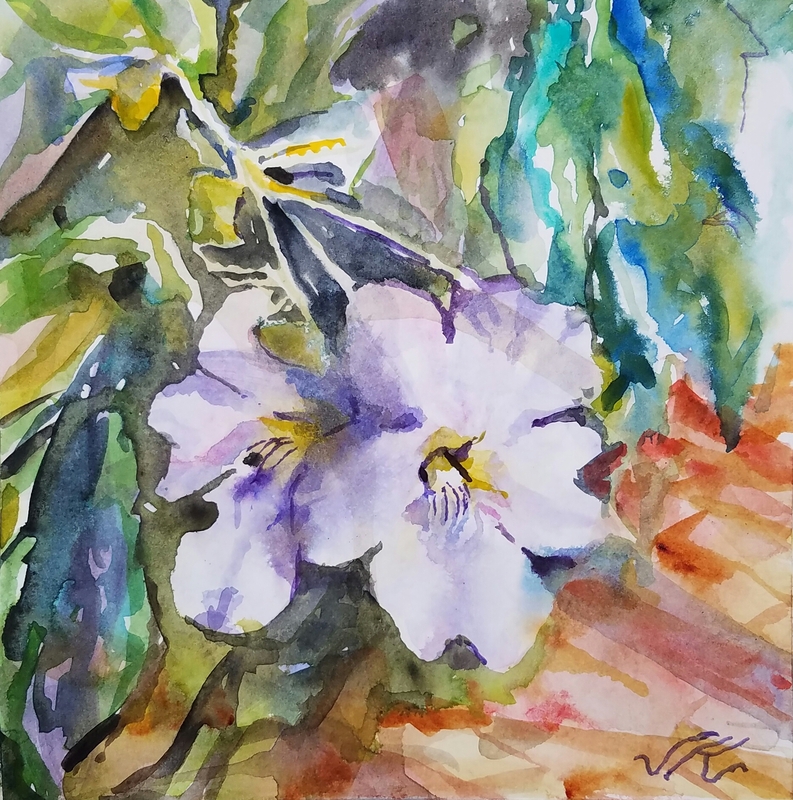 I painted a tumbergia, a very long and thick vine which has spread to shade the entire south patio of our apartment. Their flowers tend towards a purplish cobalt color in very, very light shades. Five petals circle a deep yellow-green center from which fine purple stripes emerge. They seem not to have much fragrence.